BJP Eastern Parliament Vistarak Boken Kino, Papum Pare District BJP President Tana Hali Tara, 14-Doimukh Assembly Constituency Mandal President Ngurang Tayo delivered their experience and share their views on the role of government and party activities and working of party at grassroots level. On the occasion 18 PRI leaders which include ASM, GPM Chairperson, GPM and 10 other public leaders joined the saffron brigade. 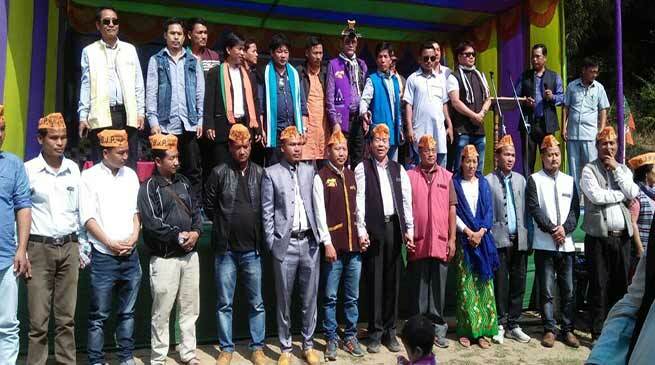 Several leaders also address the gathering which include Vth Lower Balijan Branch Mandal President Tana Sania, General Secretary Nabam Tango and others.